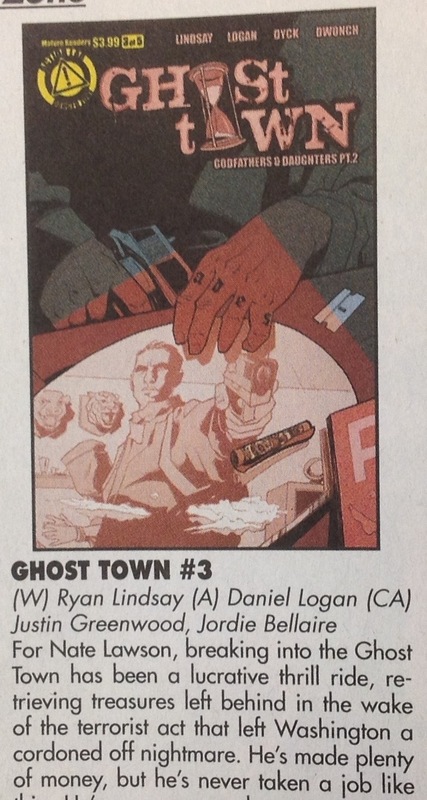 Ghost Town #3 is in the July Previews catalogue. The action thriller title by Daniel J Logan and me from Action Lab’s Danger Zone imprint hits shelves in October. It’s the middle issue of our introductory three issue arc on the title and it’s a great look into how Nate Lawson is going to get himself out of the terribly dangerous situation he arrogantly pushed himself into in #2. 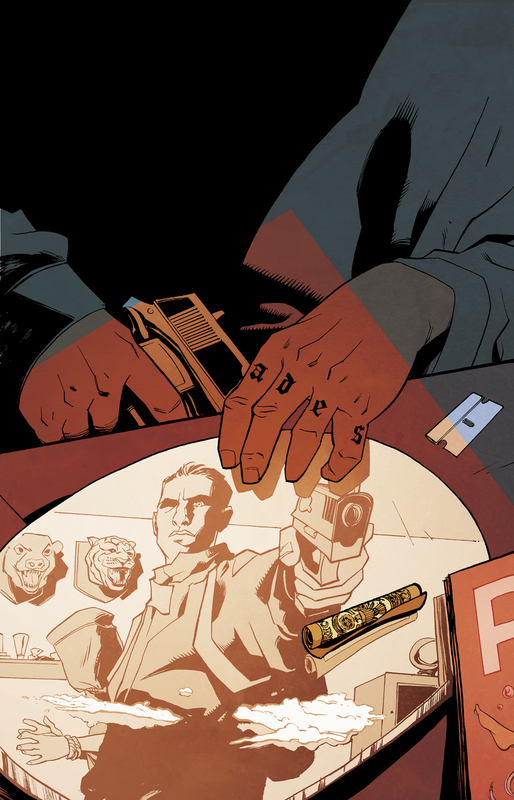 We’ve got gunplay, misplaced aggression, knuckledusters, one of my favourite comic pages of all time (seriously, Daniel nails this moment), and the end is a smasher. Speaking of issue #2, it hits shelves next month in August so it’s not too late to ask your LCS to hold you down a copy. Daniel J Logan and Brian V Dyck drop some rad art and colours and Dave Dwonch letters the hell out of my verbosity. You also can’t beat these covers by the dream team of Justin Greenwood and Jordie Bellaire. I’m really excited for this action packed thrill ride to kick off next month and I hope you’ll all join me in October for more of the madness. Preordering your comics helps indie titles like this survive so your readership is massively appreciated.